Our specialized capabilities allow us to take on virtually any industrial construction project. Click on the capabilities below to learn more. Increasing project value for our clients is one of our top priorities at BMWC. That’s why we offer BIM/CAD/3D modeling capabilities. 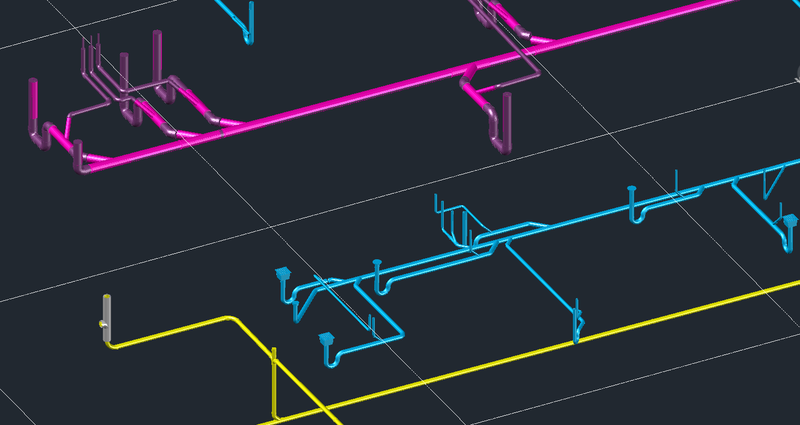 With this technology, we can produce piping details on a 3D platform from 2D drawings or from a design model. We can then track the spool fabrication electronically through the entire process and perform layout more quickly, efficiently and accurately than with standard methods. Utilizing our scanning capabilities, we can also take 3D images of your facility and bring them together with an engineered 3D model to provide visual and layout solutions. This allows us to quickly identify any issues while giving our clients the ability to view a project in precise detail. Whatever it takes, whatever the task—that’s the work BMWC has been doing in power generation and boilermaker services for decades. 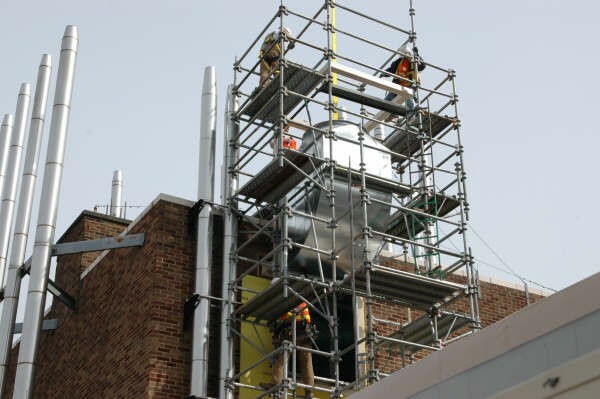 We’ve replaced major sections of power boilers, completed turnkey rebuilds of electrostatic precipitators, and provided engineering services at every stage of project development—not to mention all the materials and labor necessary to complete every aspect of a given job. We carry all the necessary certifications for virtually every project, including the R-Stamp from the National Board Inspection Code (NBIC) and the S-Stamp and U-Stamp from the American Society of Mechanical Engineers (ASME). In addition to construction, we also provide ongoing maintenance for many of our customers. If you ever have a boiler tube leak or other mechanical failure, you can trust us to restore boilers quickly and efficiently. 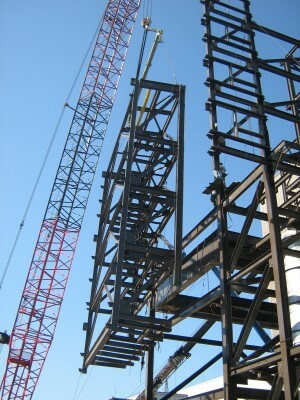 Large-scale industrial projects often require heavy equipment erections, relocations, and repairs. This massive equipment can weigh tons—which makes it all the more important to pay close attention to the smallest details. That’s exactly why BMWC is an industry leader when it comes to equipment installation and management of heavy-lift projects. The installation, inspection, design and ongoing maintenance of fire protection systems is one of our specialties at BMWC. Our services are comprehensive—we do preliminary designs, total site reviews, hydraulic calculations, inspection and testing of current systems, retrofitting, and installation of new systems wherever they’re needed. Clients know they can trust us to always come up with the most economical, code-compliant fire protection for any application. 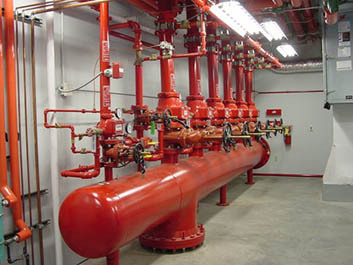 Inspection of fire sprinkler systems to meet NFPA #25 including wet pipe, dry pipe, deluge and pre-action systems. Testing a variety of systems on weekly, monthly, or annual basis as required by NFPA. Repair and maintenance of systems as required by code compliance issues, aging system components, remodels, equipment failure, etc. Code consulting for fire sprinkler design options to meet NFPA, FM Global, International Building Code and Indiana Fire Code requirements. Small project work including turnkey fire sprinkler installations for light, ordinary and extra hazard building occupancies. Fire sprinkler layout and design (NICET Level IV Certified) providing Auto-Cad layout, piping and sprinkler head design, hydraulic calculations and approvals from authority having jurisdiction. Specialty system knowledge, including AFFF foam systems, clean agent systems, CO2 systems and water mist systems. 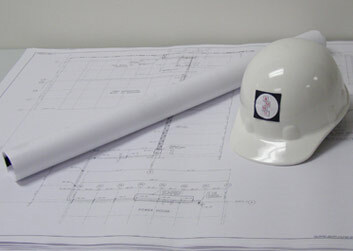 We handle general contracting needs of all kinds—no matter how big or small the job. We are a single, reliable point of contact on all aspects of a jobsite, and we understand the importance of working collectively toward established goals. In the pharmaceutical, biotech, food and beverage, and semiconductor industries, particulates or microbes in process pipes can cause big problems. To avoid these issues and to meet required cleanliness standards, high-purity piping in certain applications is a must. 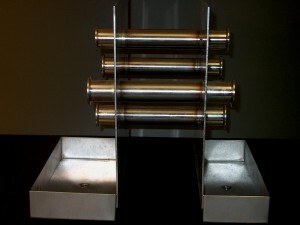 High-purity piping is one of BMWC’s core specialties. Some of the world’s biggest companies have relied on us to lay out and install high-purity piping systems in clean rooms, laboratories and medical facilities across the country. They know they can count on us to meet even the most stringent hygiene standards, which often require specialized skills, including orbital welding. We use high-purity materials that are fabricated in our own shops—and often partially assembled in our own clean environments—so we know the materials we’re using are exactly what we need to get the job done. 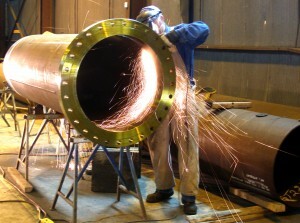 Because we provide industrial piping for many of the jobs we work on, plumbing naturally falls into our scope of work. BMWC has been providing clients with plumbing services since we were founded in 1955. 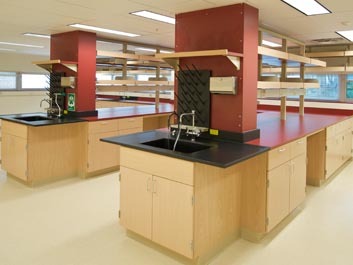 We continue to provide these services because many of our clients in industries including healthcare, biotechnology and pharmaceuticals require sophisticated plumbing systems. 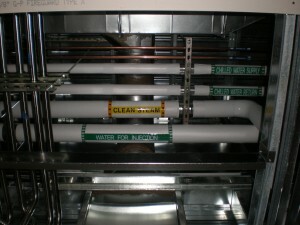 Our capabilities enable us to work on the most complex plumbing installations, including laboratory waste neutralization systems, fuel gas piping and laboratory acid waste and venting systems. When it comes to medical grade plumbing, we have the necessary certifications to handle any job. We’re also certified to install medical grade gas systems, including oxygen, nitrous oxide, medical air and medical vacuum. In the world of process piping, nobody is more knowledgeable or experienced than BMWC. 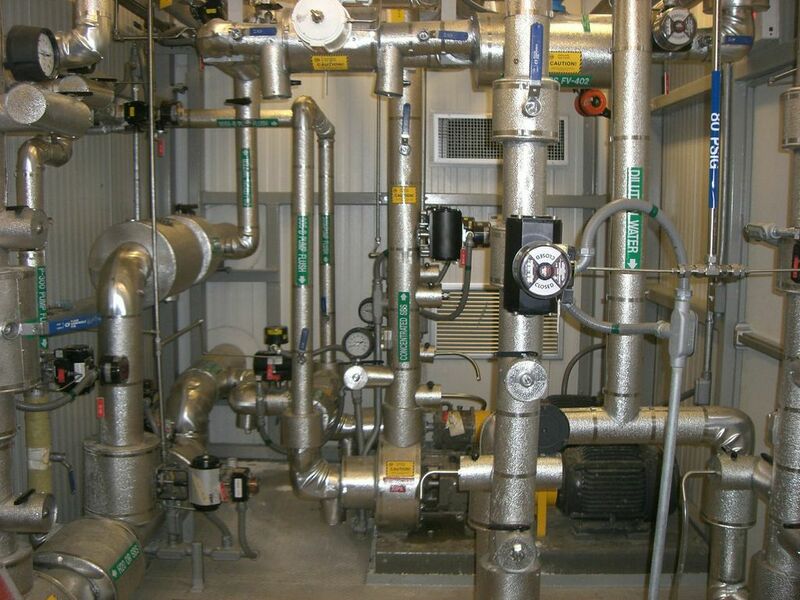 We provide layout, fabrication and installation of process piping to many of the world’s leading companies, and we help maintain these systems to ensure they’re working at optimum efficiency. Process piping is fabricated and joined in many different ways, and we pride ourselves on staying up-to-date with the latest materials and methods in the field. 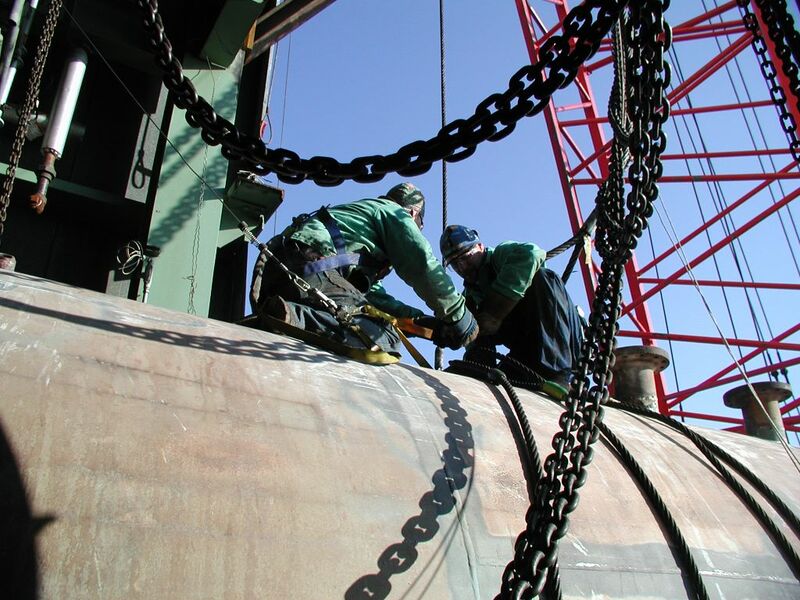 Since much of the piping we build and install carries potentially dangerous media and/or operates under high levels of pressure, we use materials of the highest quality, including carbon steel, stainless steel, PTFE lined carbon steel, Hastelloy, and copper. 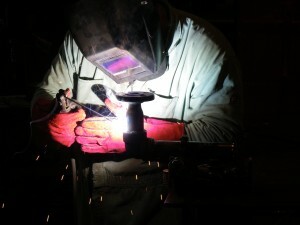 To make sure our process piping is installed to exact specifications, we use a variety of techniques including SMAW, TIG, socket, compression, soldering and orbital welding. Our work in process piping also includes the installation of process valves, process measurement instruments, tanks, heat exchangers, pumps, filters and pre-manufactured process skids. Fabricating custom sheet metal designs at our company-owned shop is one of the reasons we’re able to provide our clients with pharmaceutical-grade heating, ventilating and air conditioning (HVAC) systems. We can fabricate sheet metal for ductwork and hoods with extreme precision because our experienced sheet metal craftsmen are using state-of-the-art equipment that includes laser, plasma and water jet cutting. Our sheet metal department technicians also offer test and balance services, which ensure that your HVAC system is working exactly as designed. The Testing, Adjusting and Balancing Bureau (TABB) accrediting agency certifies all of our technicians. Whether we’re retrofitting an oil refinery for a major expansion or installing rebar, much of the industrial construction work we do requires steel erection. Building these structures means moving massive pieces of metal with heavy capacity cranes, so we always adhere to strict standards of safety—and our record speaks for itself. We do the job right the first time, so our clients tend to keep coming back. While most of the steel erection we do is in heavy industry facilities such as power plants and refineries, we are also experienced at constructing pre-engineered buildings. We can provide all the contracting and subcontracting services to complete these jobs, and we have the expertise to build these structures on even the most demanding jobsites. Having strong relationships with our subcontractors is an important part of our work at BMWC. Subcontractors we work with have been carefully scrutinized, so we know their standards match ours. We rigorously evaluate subcontractor performance in all key areas, including safety, quality, schedule and budget. Our welding services at BMWC combine the latest fusion methods with the highest quality materials to ensure maximum precision. 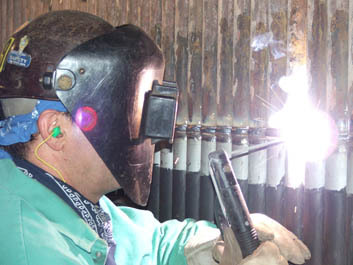 We employ skilled craftsmen who use traditional manual welding methods such as Shielded Metal Arc Welding, but who are also trained in semi-automatic and automatic, non-consumable electrode welding processes. This includes specialized fusion such as Gas Tungsten Metal Arc Welding (TIG) and Gas Metal Arc Welding (GMAW). Our welding expertise means one thing: unsurpassed reliability for our clients, no matter how large or sophisticated the project may be.